When I wasn't looking November slipped away! Do you feel that way too? I think I'll be staying up late on November 30th putting the finishing touches on my latest idea. We're doing our countdown to Christmas a little differently and I couldn't be more excited! This year we're doing a daily family activity for our advent calendar. I've got it all planned out (ok - I've got it mostly planned out). Each day - instead of opening a little waxy chocolate in a perforated paper box - we're going to do a family activity. I am excited to see how the kids take to this. If things go how I expect they will be crazed with excitement. The sort of thing that gets them excited for the day and jumping out of bed early (not too early I hope). Each morning they will take turns opening the day's activity. The beauty is, the activities are things we do every year anyway, but there will be that added excitement only anticipation and secrets can bring. It had never even occurred to me to make a Christmas countdown filled with activities until I read this post from Simple Mom. I love the easy, colourful way she displayed things. But, it was Tsh's real, simple ideas and activities that drew me to this idea. As soon as I read her post, I started my list for this year. With how busy things are already, I don't have time to make something too complicated. And, let's be honest, my kids couldn't care less about how it looks! They'll have tunnel vision into the next activity - they won't give a rip if it's easy on the eyes. 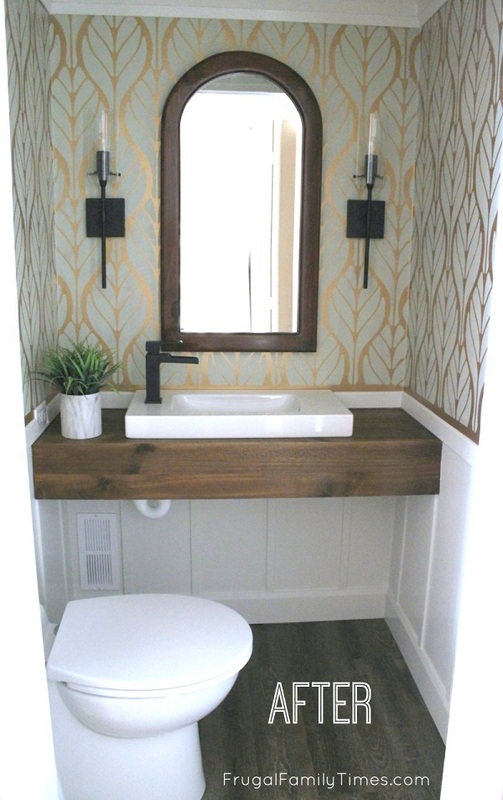 I've decided to use the free printable from Amy at Living Locurto. I'll use her little card templates and print our activities on them. I'm going to use stickers to seal them from curious, peeking eyes. Oh - and #14 is GENIUS and the #21 is SO MUCH FUN! 1st - Decorate the Christmas Tree! 2nd - Drink hot cocoa, snuggle and watch A Charlie Brown Christmas. 5th - St Nicholas Day – Let’s learn more about him! 13th - Go to the Farmer’s Parade of Lights! 14th - Shhh! This morning let Mommy and Daddy sleep in. Your cereal bowls are waiting for you in the kitchen. 16th - Watch How the Grinch Stole Christmas – Let’s read the story at bedtime! 20th - Make wrapping paper! 22nd - Perform a random act of kindness – don’t get caught! 23rd - Skype with Auntie, Unkie and Ryan to wish them a Merry Christmas! 24th - Open your Christmas Eve gift. Track Santa on the NORAD satellite. 25th - Have a Merry Christmas! Are you doing something special to countdown this year? I love the family appreciation days idea, Rita! I've got to figure out how to work that in! 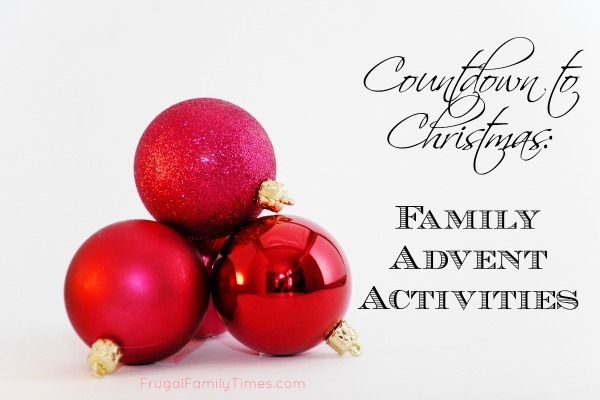 We're doing an advent activity calendar this year, inspired by Simple Mom, too. It's the first time we've done this and I may be as excited as the kids. It kinda paces the activities. Some years the 25th sneaks up and doesn't feel like christmas; this helps build the anticipation. As well it makes sure that you don't forget the moments that you want to have or things you like to do (like ready a favourite book or actually getting to the job of making gingerbread men). It's a like a to-do list, but with enforcers (the kiddos)! Super Spy Shopping?! Oh my boys would LOVE this! I'm adding it to our Christmas Countdown. My 3 children's favourite family tradition is something we call "COUNTDOWN TO CHRISTMAS". Each day leading up to Christmas I add a little burst of festive fun to our day, and it is so fun to watch their anticipation grow with each day's activity. The kids discover what's in store each day by finding a card I've hidden with the day's activity written on it. 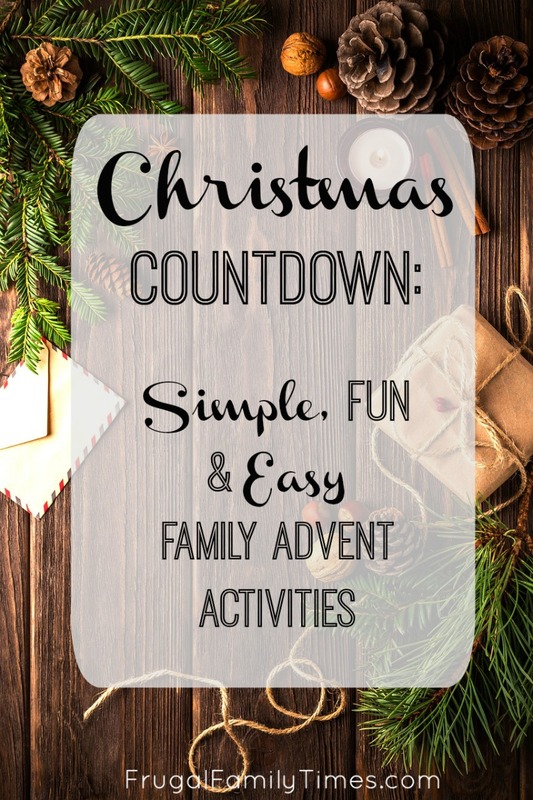 Although I have been doing this for years with my own kids, I now have a little blog www.simplyfunfamilies.com where I am sharing Countdown to Christmas as a Printable Card Set featuring our favourite activities and some tips and tricks that make it super easy to fit in all the fun... even for the busiest families. Take a peak and give it a try in your own family this holiday season! You'll find super quick bursts of fun, traditional Christmas activities, plus activities in a spirit of gratitude, charitable giving & even acts of kindness to offer family members.